What has happened to small businesses in America over the last 50 years? They’ve changed, that’s for certain. Let’s explore the one-mile linear microcosm that was my daily walking commute to grammar school back in the early to mid-1960’s to try to find some answers … and perhaps even some solutions that may be applied to small businesses today. A bit of background: I was born and raised in the village of Willimansett, part of the City of Chicopee, in Western Massachusetts. The City of Chicopee, at that time, had a population that was primarily comprised of the descendants of relatively recent waves of Polish, French Canadian, and Irish immigrants. 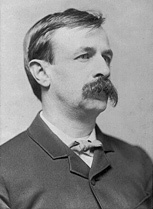 Chicopee itself was historically noted as the birthplace and home of Edward Bellamy (author of “Looking Backward”) and General Arthur MacArthur (father of the even more famous son who followed in his military footsteps.) Early industries were the Ames Manufacturing Company (which made the Union Army’s bayonets during the Civil War) and the Stevens Arms (makers of firearms.) 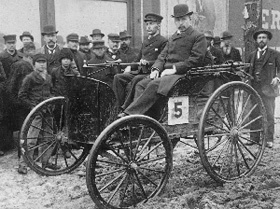 Chicopee was also the home of the Duryea Motor Wagon Company, who all locals will claim invented and built the first automobile. Back in the 1960’s, the largest manufacturers were the F.W. Sickles Company (which at this time was a division of General Instrument Corporation and manufactured radio electronic devices), the Fisk Tire and Rubber Company (which evolved into Uniroyal and then Bridgestone Tire before closing), and the world headquarters of the A.G. Spalding Company (one of the country’s leading manufacturers of sporting goods.) Together, these companies employed a workforce of thousands. Today, only the former Spalding plant survives, a shadow of its earlier life, now manufacturing golf balls under the Top Flite name. In addition to these major manufacturers, Chicopee was the home of Westover Air Force Base, one of the country’s leading military installations in the Cold War years, closed down under the Nixon Administration … according to local conjecture as a response to the state’s vote for George McGovern in the 1972 presidential election. Today, the main runway at Westover (now an air reserve base and an air industrial park) is an emergency landing site for NASA’s space shuttles. The City of Chicopee was always the somewhat neglected sibling of the larger adjacent cities of Springfield and Holyoke, all of which developed as a manufacturing center during the industrial revolution as a result of their location along the banks of the Connecticut River. Springfield and Holyoke seemed to offer everything that Chicopee may have been lacking. Chicopee’s public transportation services were provided by either the Springfield Street Railway or the Holyoke Street Railway Company, one with the green buses that served Chicopee Center and Chicopee Falls, and the other with the red buses that served Willimansett. (Both have long since been combined into part of the Pioneer Valley Transit Authority.) Springfield and Holyoke also had larger populations, far more manufacturing, hospitals, newspapers, and far larger and more fashionable downtown business districts. Springfield was (and remains) the seat of Hampden County, and Holyoke was known at the time as “Paper City, USA”. Willimansett was a small village within the smallest component of the Tri-City area. At the time, Willimansett (along with its sister village of Aldenville, at the top of the Willimansett bluffs) was primarily comprised of French Canadian immigrants who worked in the mills of Holyoke and Chicopee. The closest thing to a “shopping district” that existed in Willimansett was the “Y”, where Chicopee Street and Meadow Street merged on their way to the Willimansett Bridge into Holyoke. 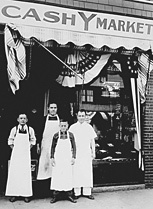 It should be noted that, back in the 1930’s, the “Y” in Willimansett was the location of a small “cash market” that would later move to busier locations and grow into the Big Y Supermarkets, today one of the region’s largest employers, still family-owned, and one of the leading supermarket chains in Western Massachusetts, Central Massachusetts, and Northern Connecticut. So, yes, it has been proven that at least one small business could start within our microcosm and experience tremendous growth. Unfortunately in this regard, lightning did not strike twice. Just as the Big Y Supermarkets chain thrived as a result of family succession and an apparent willingness to invest in long-term growth strategies, most of the small businesses with roots in Willimansett failed due to the lack of succession or the ability to adapt to changing markets and demographics. In addition to Spalding (a survivor of sorts), the other noteworthy Willimansett manufacturer at the time of my youth (and also on the outskirts of my linear microcosm) was the Hampden Brewery, maker of the regionally popular Hampden Ale. The Hampden Brewery became a Piels Brewery before shutting down in later years, a victim of the times when beer drinking habits were unsophisticated and distribution became homogenized by two dominant national forces within the region: Anheuser-Busch and Miller Brewing. Ironically, I today live in a small town that is home to the second largest microbrewery in Massachusetts. One small brewery after another shuttered its doors in the 1970’s and 1980’s, just a few years before the popularity of microbrews would lead to the largest resurgence of small brewers since the days before Prohibition. The question begs to be asked whether the same full circle transformation could take place with dairies, jewelers, hardware stores, movie theaters, and other one-time small businesses. My one-mile microcosm consists of the stretch of Chicopee Street in Willimansett between my childhood home and Mount Carmel School, just beyond the “Y” intersection. At the time, prior to the construction of the Interstate Highway System and the I-91 corridor that would bypass downtowns, Chicopee Street - also State Route 116 - was the main route connecting the city centers of Chicopee and Holyoke. Even then, a shopping trip “downtown”, whether by car or by bus, meant downtown Holyoke. (Holyoke is a one-time grand city which has subsequently fallen on hard times and now has nowhere to go but up, but that is an entirely other story.) There was a Willimansett section of the Holyoke Transcript-Telegram (gone), telephone numbers in Willimansett (along with Aldenville and Fairview) shared Holyoke’s JEfferson exchange rather than Chicopee’s LYceum exchange, and even Willimansett’s first zip code was 01045 (a subroute of Holyoke’s 01040 and, you guessed it, long gone). The walk to and from school presented me with a wide variety of businesses, each of which fascinated me, even at a very young age, and had a story to tell. Even during the years between kindergarten and 8th grade, things were rapidly changing, and businesses that had thrived for years were already closing. Most importantly, the changes that took place in my microcosm were taking place - or were soon to take place - throughout America. Was the neighborhood movie theater a victim of television or the mobility that made it easy to drive across the river to the new multi-screen cinemas in West Springfield? Or did the owner simply decide to throw in the towel after he realized that there was no money to be made with 25¢ Saturday double-feature matinees and the candy concession? I believe that the biggest nail in the coffin was driven by the same automobile industry which, ironically, is trying to escape from its own coffin today (and which may have very well started in Chicopee itself). Neighborhood businesses, not surprisingly, died with neighborhoods. People who once walked or rode the bus to work bought into the American dream of baseball, apple pie, and Chevrolet. Their new mobility allowed them to access greater choices, variety, and competition, but at what price? Consumption patterns changed dramatically in my microcosm in the 1960’s, and this was still years before the development of shopping malls, the cancerous growth of Wal-Mart, the dawn of the Internet, the influx of cheap goods from China, or the “maturation” of the baby boom generation which would bring new meaning to the concept of obsessive overconsumption. As neighborhood businesses have fallen by the wayside against the backdrop of these new market forces, it is truly surprising that any could survive. Let’s walk my “mile” to see if there are any lessons to be learned.